A birdwatcher’s guide to the human heart – an unconventional coming of age story from an unforgettable new voice that will appeal to fans of David Vann and Annie Proulx. With wry humour and real freshness, Snapper charts the disastrous love affair between career birdwatcher Nathan Lochmueller and the place that made him. Brian Kimberling grew up in Evansville, Indiana, and graduated from Indiana University. 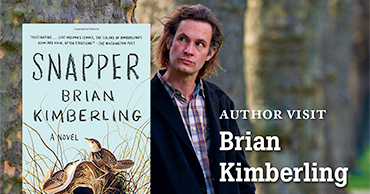 As a student he was involved in a major study of songbirds, an experience central to his first novel, Snapper. Subsequently he taught English in the Czech Republic, Mexico, and Turkey. He now lives in England. Tickets 30:-. Get your ticket today! 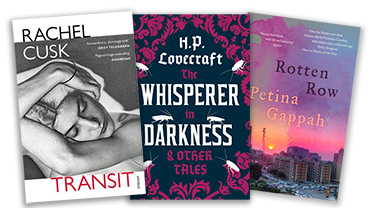 Discover the Books of the Month for October – there’s something for everyone! In the wake of family collapse, a writer and her two young sons move to London. The process of upheaval is the catalyst for a number of transitions – personal, moral, artistic, practical – as she endeavours to construct a new reality for herself and her children. The most important US horror writer since Edgar Allan Poe and a big influence on nearly every major figure in the genre after his day. It is just after nine o’clock in the morning. Gidza will die in exactly forty-three minutes and thirteen seconds. ’Rotten Row’ is the Criminal Division of Harare, and the courts and the unfortunates who pass through them are the subjects of this mesmerising collection of stories. 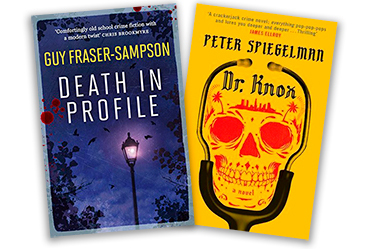 The genteel façade of London’s Hampstead is shattered by a series of terrifying murders, and the ensuing police hunt is threatened by internal politics, and a burgeoning love triangle within the investigative team. Pressurised by senior officers desperate for a result a new initiative is clearly needed, but what? 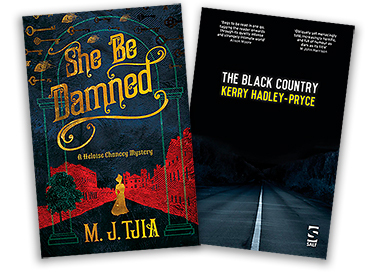 Praised by fellow authors and readers alike, this is a truly original crime story, speaking to a contemporary audience yet harking back to the Golden Age of detective fiction. Intelligent, quirky and mannered, it has been described as ’a love letter to the detective novel’. Admiral Ky Vatta should return to her childhood home a war hero, but on the way her shuttle is downed by sabotage. Marooned in a hostile landscape it'll take every bit of wit, skill and luck she can muster to lead her fellow survivors to safety, knowing that the mysterious enemies who destroyed the ship are on the hunt, and may have an agent in the group ready to finish the job at any moment. And was the sabotage an attempt on Ky's own life, or someone else's? Nebula-Award-winner Elizabeth Moon triumphantly returns to science fiction with this space opera adventure, perfect for fans of Lois McMaster Bujold, James S. A. Corey and Star Wars. Imogen and her sister Marin escape their cruel mother to attend a prestigious artists’ retreat, but soon learn that living in a fairy tale requires sacrifices, whether it be art or love in this critically acclaimed debut novel from ”a remarkable young writer” (Neil Gaiman, American Gods). What would you sacrifice for everything you ever dreamed of? Rosie Strange doesn’t believe in ghosts or witches or magic. No, not at all. It’s no surprise therefore when she inherits the ramshackle Essex Witch Museum, her first thought is to take the money and run. Still, the museum exerts a curious pull over Rosie. Never date your best friend. Best friends Dave and Julia were determined to never be clichés so they even wrote their own Never List of everything they vowed they’d never, ever do in high school. The compelling, inspiring, (often comic) coming-of-age story of Trevor Noah, set during the twilight of apartheid and the tumultuous days of freedom that followed. 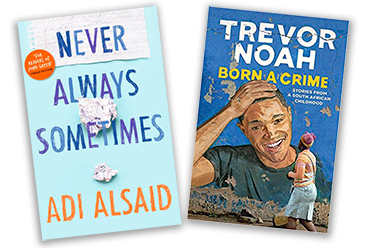 One of the comedy world’s brightest new voices, Trevor Noah is a light-footed but sharp-minded observer of the absurdities of politics, race and identity, sharing jokes and insights drawn from the wealth of experience acquired in his relatively young life. Only a limited number of Dickinson’s poems were known to her contemporaries. Today she has long been recognized as one of America’s greatest poets. 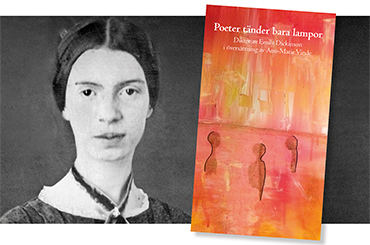 ”Poeter tänder bara lampor/The Poets light but Lamps” is Ann-Marie Vinde’s second collection of translations of Dickinson poems. Like her first one, ”Min flod flyter mot dig/My River runs to thee”, it is bilingual and annotated. Ms Vinde will read from her new volume and provide some background. Tickets 30:-. 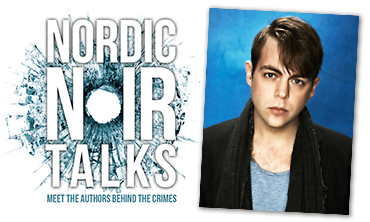 Get your ticket today at the Stockholm bookshop! 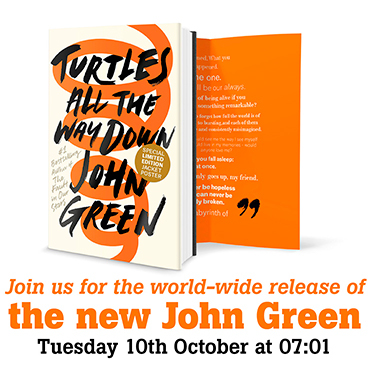 Release of the new John Green book! You can pre-book your copy at the shop to make you are one of the first to get your hands on a book. What if Anton Chekhov, undisputed master of the short story, actually wrote a novel – and the manuscript still existed? 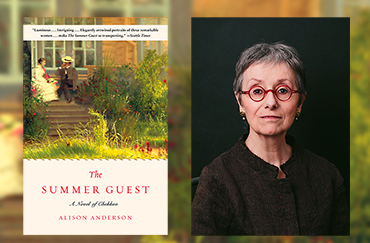 Introducing: The Summer Guest by Alison Anderson. This tantalizing possibility drives The Summer Guest, a spellbinding narrative that draws together, across two centuries, the lives of three women through the discovery of a diary. 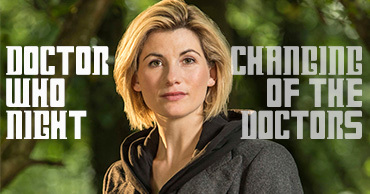 The Doctor Who-expert Kristina Rudbjer will talk about the changing of the Doctors: regenerations and reactions. Prize for best costume! Dress up as your ­favourite character – or monster! Fabulous prizes to be won. Tickets 70 kr, sign up today at the bookshop! Grab your umbrella and leek and let’s get going. Allons-y! 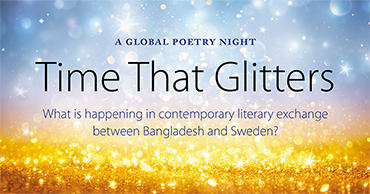 What is happening in contemporary literary exchange between Bangladesh and Sweden? 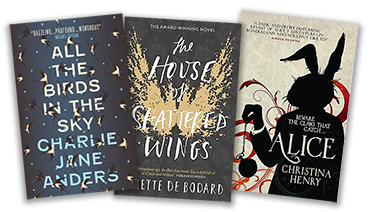 Discover the Books of the Month for September – there’s something for everyone! Shortlisted for the Man Booker Prize 2017! Autumn. Season of mists and mellow fruitfulness. That's what it felt like for Keats in 1819. How about Autumn 2016? Daniel is a century old. Elisabeth, born in 1984, has her eye on the future. The United Kingdom is in pieces, divided by a historic once-in-a-generation summer. Love is won, love is lost. Hope is hand in hand with hopelessness. The seasons roll round, as ever. The first in a seasonal quartet. Kipling’s epic rendition of the imperial experience in India is also his greatest long work. Kim is considered to be one of the first spy novels, and gives a knowledgeable portrait of both India at the time, of the Anglo-Indian relationship and of The Great Game. Love is not a singular concept. In this collection, seven award-winning authors explore seven concepts of love: from Philautia, self-love, to Agape, love for humanity; and from Storge, a natural affection for family, to Mania, a frenzied, obsessive love. Seven authors; seven short stories; seven flashes of love. London, 1863: prostitutes in the Waterloo area are turning up dead, their sexual organs mutilated and removed. When another girl goes missing, fears grow that the killer may have claimed their latest victim. The police are at a loss and so it falls to courtesan and professional detective, Heloise Chancey, to investigate. Maddie and Harry: she’s an estate agent, he’s a teacher. They’ll say they live in the Black Country. They’ll say how they met Jonathan Cotard, explain how they later argued, had a car accident, thought they’d killed someone. The Black Country. For Maddie and Harry, it’s darker than it should be. Winner of the 2017 Nebula award! Finalist for the 2017 Hugo Award Best Novel and Locus Award 2017! Patricia is a witch who can communicate with animals. Laurence is a mad scientist and inventor of the two-second time machine. As teenagers they gravitate towards one another, sharing in the horrors of growing up weird, but their lives take different paths... When they meet again as adults, Laurence is an engineering genius trying to save the world and live up to his reputation in near-future San Francisco. Meanwhile, Patricia is a graduate of Eltisley Maze, the hidden academy for the magically gifted, working hard to prove herself to her fellow magicians and secretly repair the earth's ever growing ailments. As they attempt to save our future, Laurence and Patricia's shared past pulls them back together. The House of Shattered Wings is many things. It’s a murder mystery. It’s a post-apocalyptic survival tale. It’s a steel-cold look at protagonists who are antiheroes. It’s a slow-burn Gothic narrative with plenty of tension and a sense of impending doom that retains elegance and poise and never comes crashing down. It is also a story about imperialism, about displacement and belonging, about loyalties and the desperate desire to simply return to your own tribe. Inspired by the wonderous works of Lewis Carroll, this is the tale of Alice, who has been stuck in a mental health hospital for years, although she can’t remember why. All she can remember is a tea party long ago. Long ears and blood. Until one night she escapes, free to uncover the truth about what happened to her. When she escapes, something escapes with her, but the truth she desperately seeks is so much stranger than any madman’s ranting. A teenage girl falls for her best friend's brother in Estelle Laure’s soulful debut that’s perfect for fans of Gayle Forman, Jandy Nelson, and Rainbow Rowell. A heartbreakingly beautiful book that you'll devour in one sitting, but remember forever. A collection of moving, lyrical essays that speak to the enduring power of museums in our cultural life, and will leave you longing to revisit your favourite treasure palace or looking for a new one to explore. 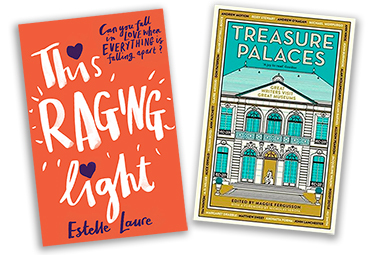 From a stunning villa on sunny Capri with Ali Smith to an unlikely temple in the heart of Copenhagen with Alan Hollinghurst, Treasure Palaces brings together over twenty of the world's greatest writers to give their own personal tours of the museums that have awed, haunted and inspired them. The Leo Junker series – about a young police officer teetering on the edge of the law, crippled by both trauma in the past and bad judgment in the present. Although Leo can’t let go of the crimes he must investigate, his obsession isn’t due to some deep sense of duty; Leo is haunted by the crimes because they in some way seem to be about him. As a criminologist, Christoffer Carlsson is more interested in the motivations behind the crimes than the crimes themselves. His books are about the why rather than the what. And, most of all, they are about the who. Recently released: October is the Coldest Month, a young adult mystery. Tickets 60:- (incl snacka and refreshments) online at www.billetto.se/nordic-noir-carlsson or at the bookshop. As the Swedish proverb goes, ‘Lagom är bäst’ (The right amount is best). ”Lagom” sums up the Swedish psyche and is a way of living that promotes harmony. Full of insights and beautiful photographs, this authentic guide will help you make small, simple changes to your everyday life – whether that’s your diet, lifestyle, money, work or your home – so you can have a happier, more ­balanced way of living. 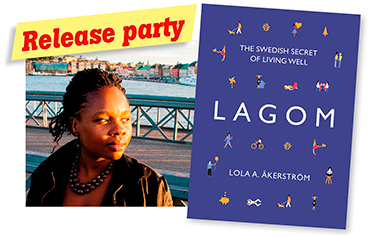 Bring a friend and explore the Swedish concept of ”lagom”! The webshop is always open! After rising to prominence for his role investigating the case of Jack the Ripper, former Detective Inspector Daniel Wilson is now retired. Known for his intelligence, investigative skills, and most of all his discretion, he's often consulted when a case must be solved quickly and quietly. So when a body is found in the Egyptian Collection of the Fitzwilliam Museum in Cambridge, Wilson is called in. 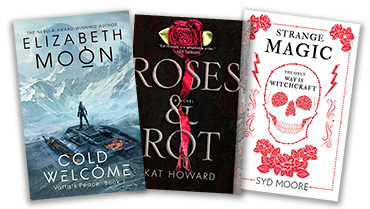 Join the monthly Book Club! 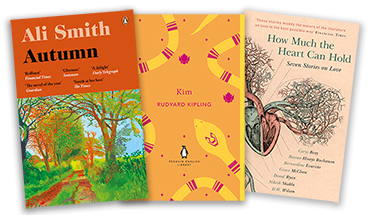 Join our subscription Book Club and get a new book in the post every month. It’s like Christmas all year round! All picks are made personally by us in the bookshop. Choose your favourite category (or categories) and we’ll send you a new wonderful surprise each month.